The 3-star Microkosmos Guest House (Chiang Dao) offers comfort and convenience whether you're on business or holiday in Chiang Dao. The property features a wide range of facilities to make your stay a pleasant experience. Private check in/check out, free Wi-Fi in all rooms, express check-in/check-out, luggage storage, car park are on the list of things guests can enjoy. Each guestroom is elegantly furnished and equipped with handy amenities. Recuperate from a full day of sightseeing in the comfort of your room or take advantage of the hotel's recreational facilities, including hot tub, hot spring bath, massage, garden. 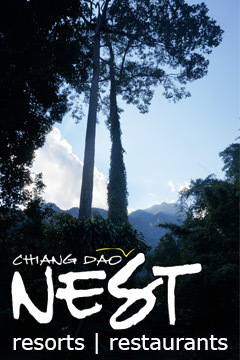 Discover all Chiang Dao has to offer by making Microkosmos Guest House (Chiang Dao) your base. Microkosmos Guest House (Chiang Dao) - Chiang Dao classifies itself as a 3 star hotel.